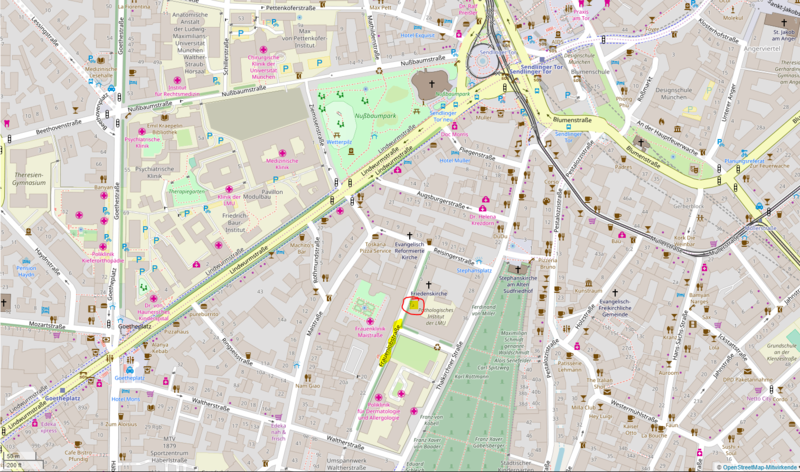 This is very close to the U-Bahn station Sendlinger Tor. For detailed information see below. 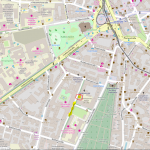 The nearest U-Bahn station is Sendlinger Tor, which is about a 8 minutes walk. This station is very well connected, as it is served by the following lines: U1, U2, U3, U6, U7, and U8. Take a train to München Hauptbahnhof (Hbf). From there you can take a U-Bahn (U1, U2, U7, or U8) to Sendlinger Tor – this is the next stop from Hauptbahnhof. On foot it takes about 20 minutes to wark to our offices from the main railway station. Fly into MUC (Munich Airport, Munich Airport, German: Flughafen München „Franz Josef Strauß“) and take the S-Bahn S8 towards the city and change at Marienplatz into U6 to Sendlinger Tor. In total this takes about 1 hour. You can also take the S-Bahn S1 to Hauptbahnhof and change the to the U-Bahn (U1, U2, U7, or U8) and go to Sendlinger Tor. Further alternatives are the Lufthansa Bus from MUC to the main station or a taxi. The taxi will need about 45 minutes and at rush hour it may be slower than public transport. There is a smaller airport FMM (Memmingen Airport, sometimes called Munich West), which is served by low cost airlines (e.g. Ryan Air). This is about a 1 hour and 20 minutes drive from our office in Munich. There are also bus/coach connections from FMM to Munich main station. Please use the navigation aid of your choice and travel to the address. This is an inner city location with little public parking. There is no nearby public parking garage. If you come for a project meeting with us by car, please let us know, that we can reserve a parking for you.